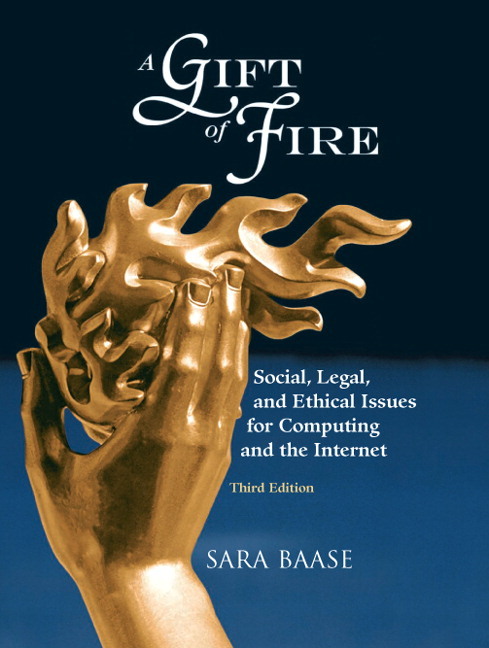 A Gift of Fire: Social, Legal, and Ethical Issues for Computing Technology, 4e is ideal for courses in Computer Ethics and Computers and Society. 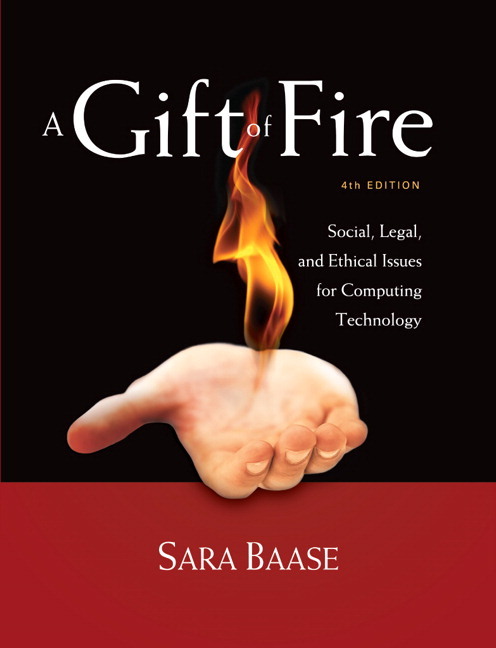 Sara Baase explores the social, legal, philosophical, ethical, political, constitutional, and economic implications of computing and the controversies they raise. With a computer scientist's perspective, and with historical context for many issues, she covers the issues students will face both as members of a technological society and as professionals in computer-related fields. A primary goal is to develop computer professionals who understand the implications of what they create and how it fits into society at large. View an online walk-through to find out what’s new to this edition. Face recognition in police devices, TVs, social network photo tagging, etc. Ethics of leaking sensitive information (with WikiLeaks and Climategate as examples) Google's decision to no longer censor searches in China Role of social networking in the "Arab Spring"
Use of social media and personal devices at work; firing people for social media content.